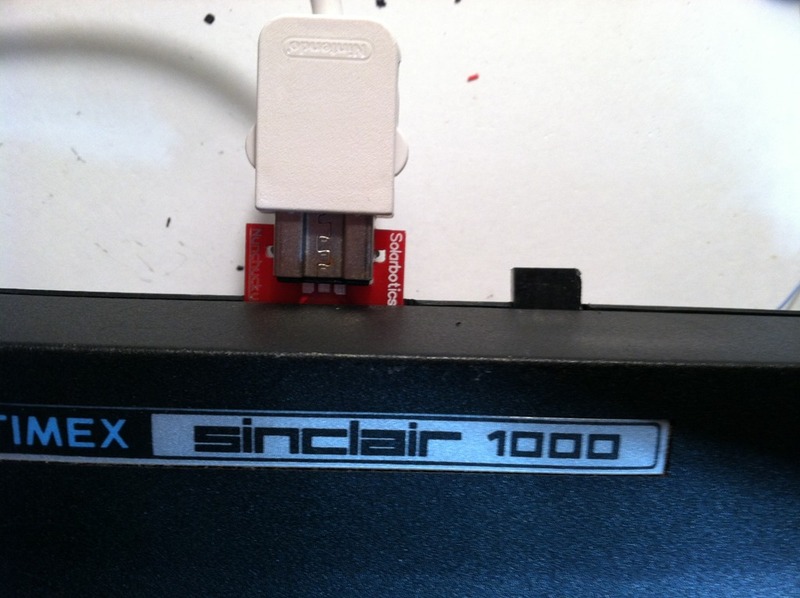 The Sinclair ZX-81 is one of my favorite computers. I bought the kit version, back in 1981, with some money I got from a tax return. I was in heaven. I bought a COMPUTER, one I can put together. I did it and, with my Dad’s help, it worked. 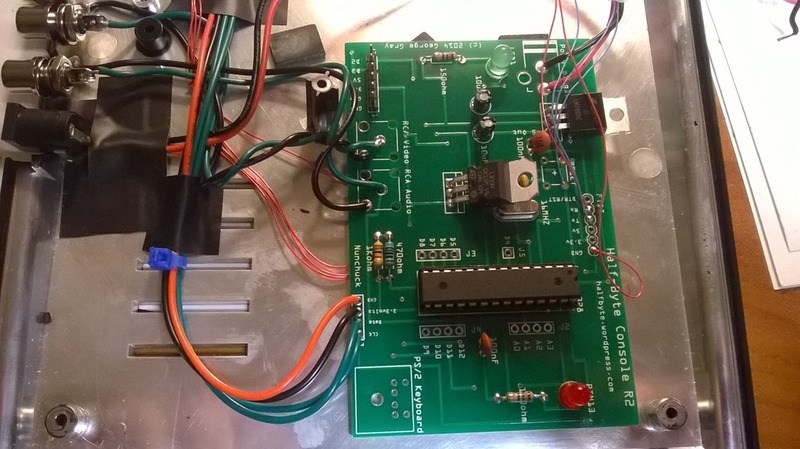 (The resistor on the reset pin of the Z80 chip was missing, luckily, he had tons of them.) Sure, I already had messed around with computers, for years at that point, and had one of my own that my Dad had built me a few years before (a SC/MP based computer, very cool, even today.) But, this one had GRAPHICS! Glorious black and white graphics. I could make a video game. WOW! Eventually, I had a couple of ZX-81’s, six or seven Timex Sinclair 1000’s, a TS-1500 and one or two of the color versions, TS2068, maybe, not sure. I loved that whole line of computers. Sadly, though, I don’t have any of them left. I did, however, bid on and win an auction for a TS-1000 (twenty bucks, with shipping.) I don’t know if it works or not, I never even bothered to power it up. Why didn’t I power it up? Well, I had a different idea for it in mind. I wanted to put my newly minted Half-Byte Console in the case. So, that is what I’ve done. I built up the console, leaving off most of the connectors and headers. This way, I can wire connectors that will be mounted on the case and not the board. 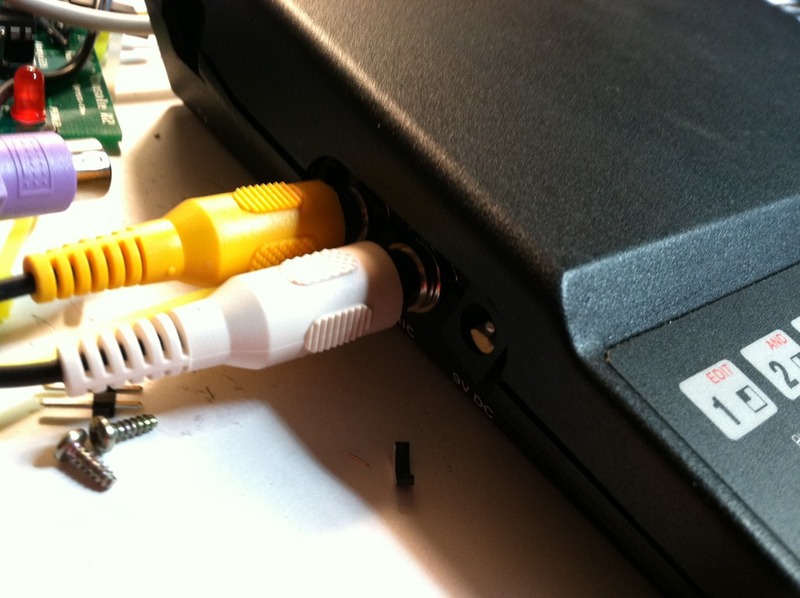 I had to improvise with the PS/2 keyboard connector and, in hindsight, I should have used a wired extender cable instead of the board mounted connector, but, I made it work. The RCA Video and Audio connectors were panel mount and fit nicely. The power adapter connector somewhat fits. I had to do a little trimming, but, it more or less fits. I used some sticky back pads to secure the board, I didn’t want to cut up the case or drill a lot of holes so I could return it to its original function if I wanted to do so in the future. I may sell this at some point, I don’t know yet. The one thing I’d really like to do is make the TS-1000 membrane keyboard work with the console. Right now, the information I’ve found requires the use of pins on the 328 that I am using for the video and audio and the Nunchuck. Maybe I’ll use an UNO Pro mini just for the keyboard. I’ll have to give that some thought. But, that would be cool. A new retro computer. While I am no Ben Heckendorn, I am pleased with the way this turned out. I’m not a modder, but I could grow to like it. I am going to add the ZX/TS1000 graphics characters to the 4×6 font for TVOut and recompile Half-Byte Tiny Basic to more look like the TS-1000. The Half-Byte Console even has the same RAM-2K. Ah, I love the ‘80s. 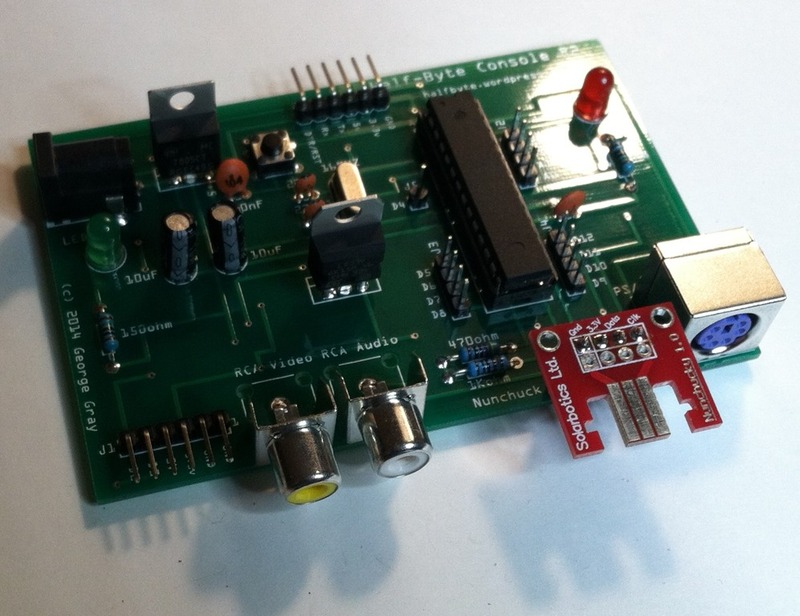 For more information on the Half-Byte Console and Half-Byte Tiny Basic, go here and here. You can also search the blog for posts on both the console and Tiny Basic. 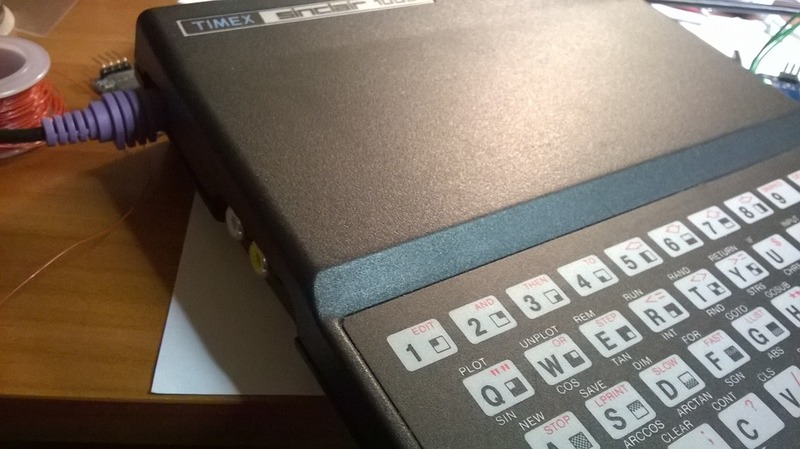 For more information on the Timex Sinclair line, go here. 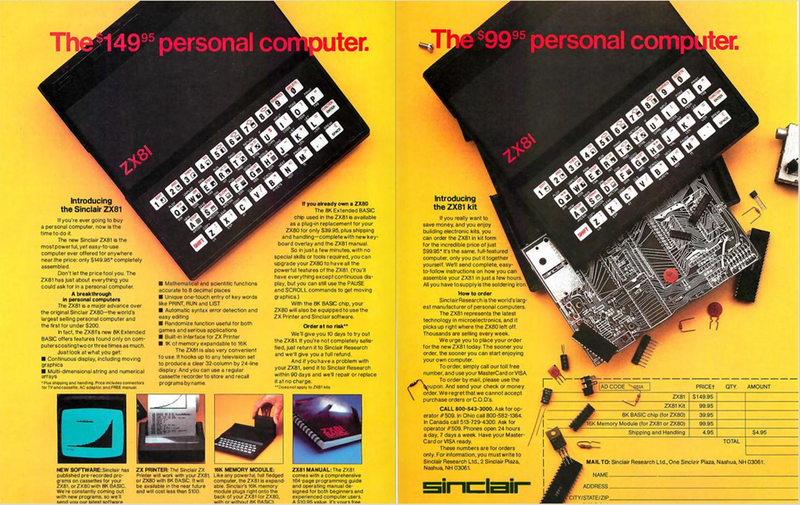 You can also build your own ZX80/81. Go here to read more.